New Customer Special $25 Off Any Service or Repair! European Autowerks recognizes and appreciates the fact that Volvo vehicles need special attention due to their sophisticated engineering. Whether you own a late or early model of Volvo, our staff of highly trained ASE Master Technicians will provide your car the attention to detail that it needs. 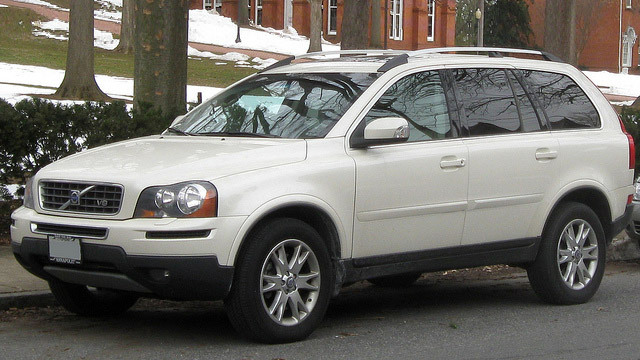 Most people purchase Volvo automobiles for their reputation of safety and life expectancy, which has been shown to be approximately 250,000 miles. However, we realize how important it is to properly maintain your Volvo in order to achieve such a long life. So, no matter what type of repair your vehicle needs; from an oil service, transmission repair or even if you just require brake replacement, we can take care of it in a timely manner. When you need your Volvo serviced or repaired and you live or work in Temecula, Murrieta or surrounding cities stop by and see us. Owners of Volvo vehicles take a special pride in their automobiles and we at European Autowerks understand how important it is for your Volvo to get regular factory scheduled maintenance, in order to avoid costly future repairs. That is why we know you will appreciate how we assist you on staying up to date on necessary routine maintenance, whenever you have us service your Volvo. We also have technicians that are trained and specialize in the servicing of BMW and Mercedes Benz vehicles. European Autowerks knows how valuable your time is, so one of the many benefits that we offer is 24 hour drop off/pickup assistance along with having loaner cars available to save you the hassle. We also provide free shuttle service to work or home. Also, we provide a 3 year/36,000 mile warranty on repairs. We even wash your vehicle after every service or repair. So, next time when you need your Volvo serviced or repaired and you live or work in Temecula, Murrieta or surrounding area, give us a call. Please give us a call or stop by with your Volvo auto repair questions or any other automotive questions you may have. We look forward to hearing from you soon.